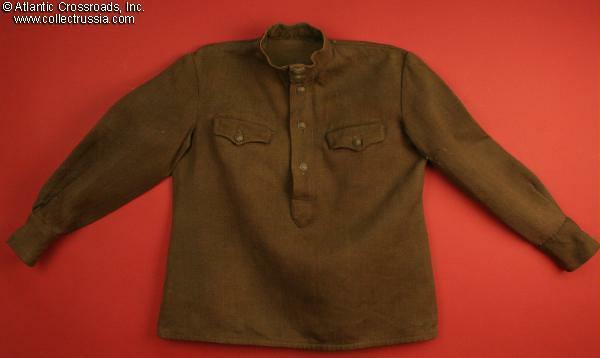 M 1943 gimnasterka field shirt for a woman in heavy wool gabardine. 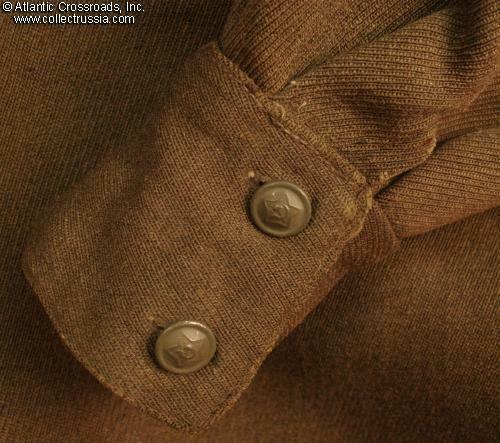 Unfaded wool gabardine is a scratchy, hard-wearing heavy grade fabric. 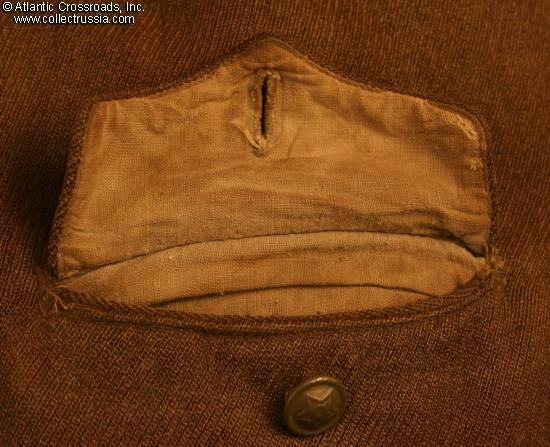 Pocket interiors are lined with a fine grade cotton. No visible date stamp. 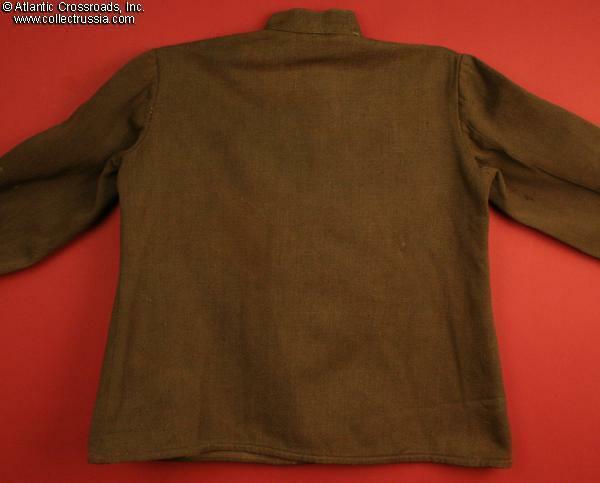 Size is about a 39" chest, with 21" sleeves. 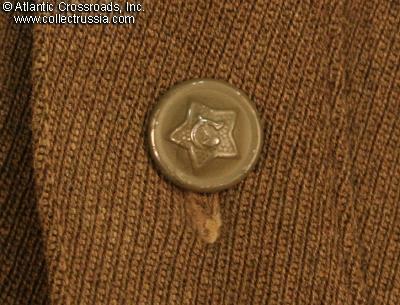 There are no shoulder board loops. 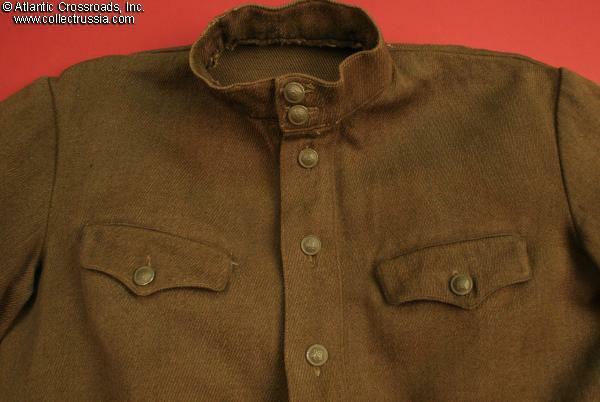 The collar measures about 14". 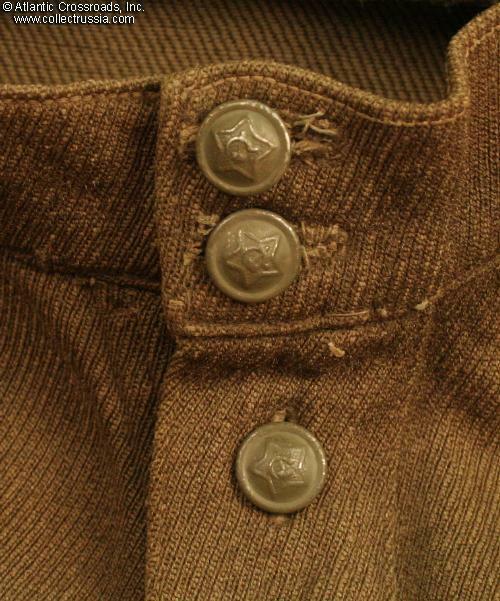 While the gray-painted steel buttons are definitely WW2 issue, they may be replacements; there is no stamped date on them, which guarantees that they are no later than 1940s manufacture. 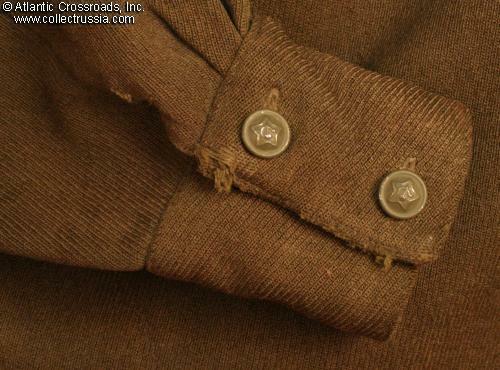 Condition is very good, with some light frays to the cuffs and some light staining. 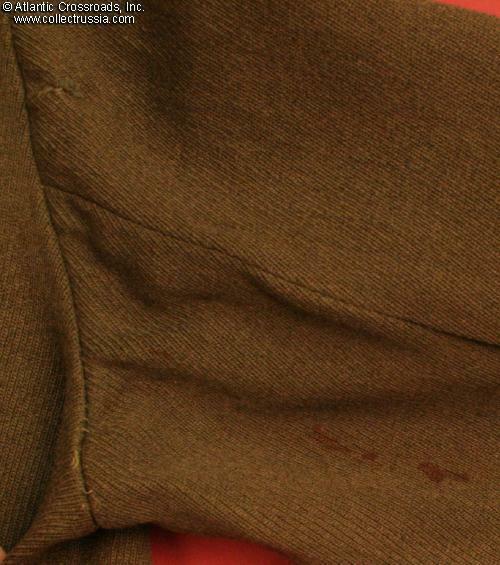 There are a few places where small cuts or frays were carefully darned. 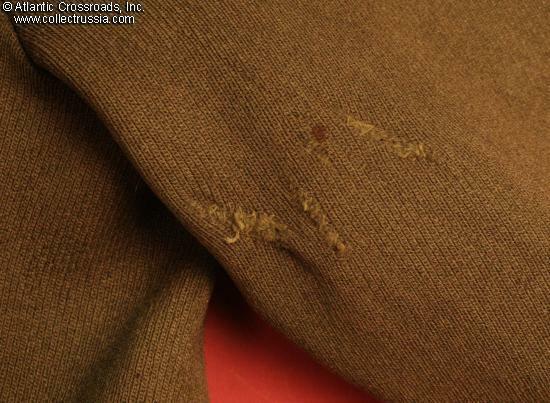 If you are a collector who enjoys the smells of the items in your collection, it must be pointed out that the shirt was apparently aggressively dry cleaned at some point in its recent past and, as a result, if you hold it right up to your nose, you will find that it now has a vaguely chemical scent.